Learn to ride the waves like a pro with Manly Surf Guide, a boutique company that offers small-group tours and lessons on some of Sydney's most beautiful beaches. You'll have access to a young team of experienced surfers passionate about what they do. 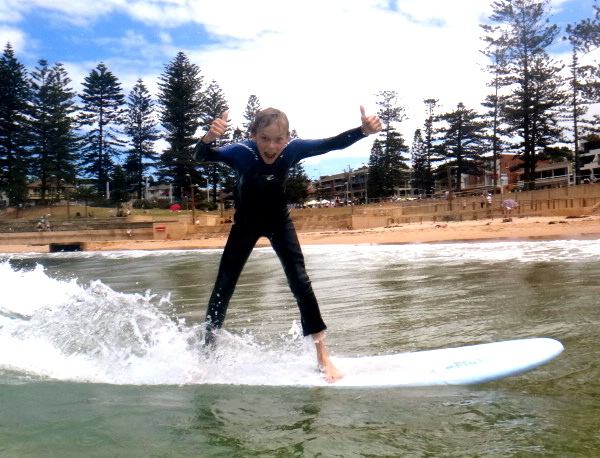 Families can enroll their kids in a surfing camp or sign up for surf lessons, suitable for all levels and abilities. Regardless of you previous experience, you'll learn more about ocean safety, surf etiquette, ocean and wave positioning, paddling and catching waves, control, and ultimately, standing up and riding the waves. A visit to Manly Surf Guide represents just the start of the adventure when you use our Sydney trip planner to plot your vacation. I recently ordered a soft board through the website, the service was incredible! So fast, efficient and a great price. I am one happy customer so thank you! Great experience for purchasing my first surfing board and wetsuit! Mr Ryan provides lots of useful instructions for the use of the wearing and equipment, also I am looking forward to joining in the training group as well.